Non-repellent Termite Barrier - what is it and how does it work? Termite News and Tips What is in a non-repellent Termite Barrier? The Termite Guys tackle most active termite infestations using the ‘non-repellent’ range of Termidor products. These products offer a long term protection and are undetectable to termites. The termites cannot detect the presence of the slow-acting chemical and bring it back to the colony which then kills the colony from inside. This is, in particular, an effective method of treatment as you often cannot locate the termite colony. Barriers built prior to June 1994 most likely used chlorinated hydrocarbon pesticides. These chemicals are long lived, and banned due to their immense effects on mammals. Known to be carcinogenic, lipophilic (they bind to water molecules) and extremely harsh on aquatic life. You may remember DDT? …One of the most infamous chlorinated hydrocarbon pesticides. This chemical proved to be incredibly detrimental to animals at the top of the food chain. DDT accumulates in the fat, and predators consume a large amount of fat from their diet. For instance, many sea birds and especially sea eagles and ospreys had trouble laying eggs that survived. The shells of the eggs became thin and fragile from the DDT and DDE. These chemicals are also banned in most parts of the world. In Australia they are still in use in the far north until stock runs out. The choice to keep using these harsh chemicals in the north is due to a specific termite species known as Northern Giant Termite (Mastotermes darwiniensis). This species causes substantial damage to property and is hardy to most of the chemicals currently in use. Termidor products which contain Fipronil. Fipronil breaks down faster than the chlorinated hydrocarbons. It is also less harmful to mammals and aquatic life. But, it is still of great importance to be careful around these chemicals. The technician who installs the barrier is well aware of the risks involved and will take the correct precautions. 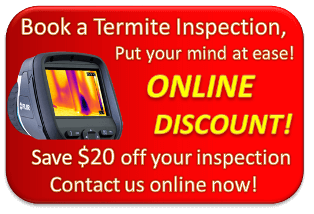 Only licenced pest controllers are permitted to undertake pest management activities in Australia. What is Fipronil exactly and how does it work? Fipronil is the active ingredient in the Termidor range. It is a broad spectrum insecticide and it disrupts the central nervous system in insects. Fipronil blocks the GABA-gated chloride channels and the GluCl channels (which only exists in insects) in the cell walls of neural cells. These channels serve to control muscle movement. In insects these channels seem to have a much higher affinity to fipronil than in mammals. When an insect, say a termite, ingests fipronil it causes hyperexcitation in their muscles and nerves. Fipronil also causes something called the “transfer effect”. This means that it takes some hours for it to come into effect in insects, and for termites that means that they bring the pesticide back into the nest and spread it throughout the colony. To approve a pesticide it has to go through an array of scientific tests. This is for the protection of the non-targeted fauna and flora. Also, so that it won’t pose a risk to humans. Fipronil has been extensively investigated since its discovery in 1985. These investigations show that fipronil breaks down at different rates depending on where it is. If you inject fipronil into the soil: the pesticide at the soil surface will break down very quickly by the sunlight, but slowly deeper in the soil where the sunlight does not reach. Termidor has an 8 year life expectancy as per the product label (This is when it is time for a refill). As it binds closely to organic matter in the soil it is not expected to go into the groundwater. If fipronil comes into contact with water it will break down faster the less acidic the water is. There is no evidence that fipronil evaporates into the air. Plants do not absorb fipronil very well. Fipronil is highly toxic to invertebrates, sea and freshwater fish. Two of the metabolites of fipronil are more toxic to these animals than fipronil. Other studies show that the chemical is also highly toxic to some birds, but non-toxic to ducks. Honey bees are very sensitive to fipronil. The only mammal which is very sensitive to the pesticide is the rabbit. When conducting any pest control treatment, it is the responsibility of your licensed pest controller to assess the risks beforehand. We work with Termidor in such a way that it should not pose a risk to nature or fauna apart from termites. A chemical barrier goes along the perimeter of the home, where little to no rain reaches due to extended eves or concrete paths, pavers and driveways. Drains should be properly directed away from the property so to not reach the barrier. The health effects humans get from a brief exposure depends on how they are exposed. Direct, short-term contact with skin may result in a slight irritation to the skin. Ingestion on the other hand may result in sweating, nausea, vomiting, headache, stomach pain, dizziness and seizures. Although scary, these symptoms will most likely improve and clear up without any medical intervention. Research show that the amount of fipronil which is absorbed into the body across the skin depends on the product formulation. Researchers applied a dose of 79% fipronil to the skin of rats and found that less than 1% of fipronil was taken into the body after 24 hours. Scientists have not found any evidence of fipronil causing cancer in humans. You may be exposed to fipronil if you have a dog and treat the dog with Frontline. To stay safe, wash your hands after application and after patting your dog. 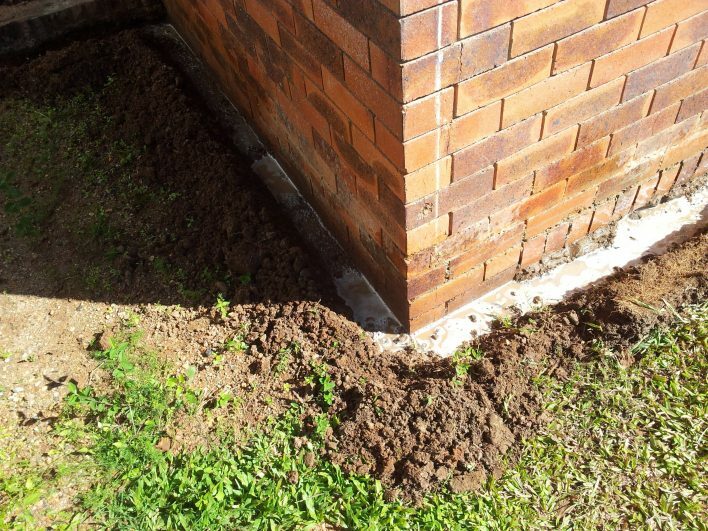 Termite barriers are unlikely to pose a risk to you as the chemical is injected into the soil and does not evaporate into the air. As science will always move forward and investigate what chemicals are the least harmful and most useful; fipronil is for now the most suitable chemical for termite protection. It may be concerning having chemicals applied around your home however correct handling by a competent pest technican will ensure there is minimal exposure and risk to you. This is why you need a professional to install the barrier. The regulations are such to decrease any risk of exposure. Australian Termites – Phillip Hadlington – A fantastic book for anyone with an interest in Australian termites. Call and email us for a free quote on Barrier treatments. Pingback: What is the difference between Termidor HE and Termidor SC?